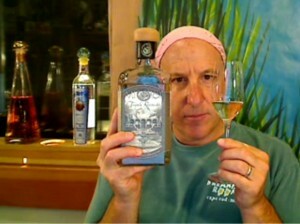 Monterey Tequila Expo from Lippy on Vimeo. 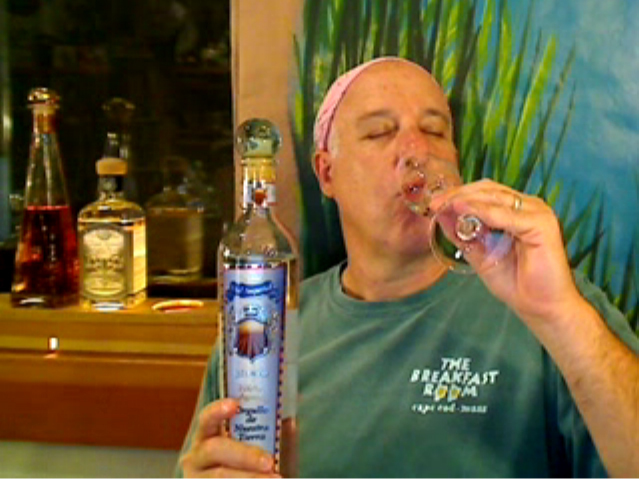 (sung to the tune of ‘San Francisco’) “If you’re going, to Mon-Te-Rey: Be sure to briiiiiing a caballito in your hand..” Yep, Th’ Lip is taking you down the fog-shrouded California coast to taste featured brands from the 2012 Monterey Tequila & Mezcal Expo! Come on along and bring your favorite (BIG) tasting vessel. Sip along as we review Azul Imperial, Mi Casa, Alderete, and Don Elias tequilas. Lippy rustled up some previous medal winners from past Monterey Expos and found his favorite age variant from all ages of the brands provided. This was an especially difficult choice because a few brands presented great juice in multiple ages of their product. Be that as it may, your intrepid Tequila Whisperer persevered through it all and came up with 4 Must-Taste tequilas for your sipping enjoyment. Whether you’re traipsing through the Expo or enjoying these brands at home or at a party, there is something here to like for every age (and wallet) preference. 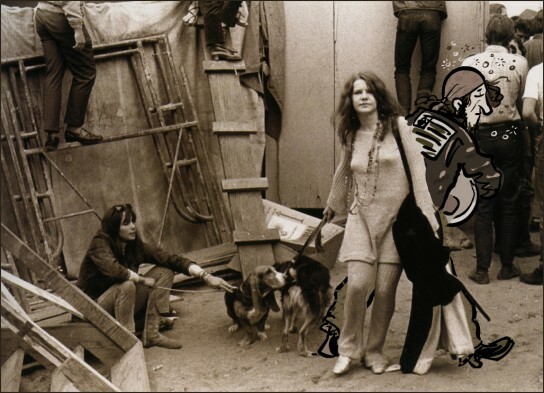 Add to all of this the show’s musical soundtrack is provided by the great Monterey Pop Festival from exactly 45 years ago. This is an episode you’ll be singing along to! Blanco: “Azul Imperial” (NOM 1549). This blanco was an immediate favorite owing to its soft and “round” taste that brought forth a nice bottom end and a full load of rich, roasted agave. Additionally there was a very “clean” mouth feel allowing to this blanco to become an instant winner. What Th’ Lip was NOT prepared for was its long and warm (NOT a commonplace occurrence). When sipping Azul Imperial make sure to leave a long time between sips as you’ll want to savor that lingering finish! Reposado: “Mi Casa” (NOM 1499). Your Tequila Whisperer was impressed by both the repo AND the anejo of this family owned and operated brand. But ultimately it was the reposado that really shone in its even balance of sweet cinnamon coupled with a blanket of caramel oak. Lippy has tasted many brands that have been produced at the 1499 distillery, and can say without equivocation that Mi Casa is the richest tasting brand he’s ever had from that factory. Enjoy this reposado – and after a few evenings with it, seek out its older anejo brother. You’ll be in for an even more lush experience there. Anejo: “Alderete” (NOM 1414). Buckle up for this one, tasters! The Alderete anejo will take you on a deep, rich, and spicy ride through agave country. Your Tequila Whisperer was not prepared for such a rich experience from this anejo. It keeps the acidic tang of its blanco “seed stock”, but balances that sprightly agave note with thick slathers of menthol, mint, and vanilla! Wow. There is a lot to like here, and you’ll find yourself reaching for the bottle to refill your glass again and again. Nice going, Alderete. Welcome to Th’ Lip’s home bar! 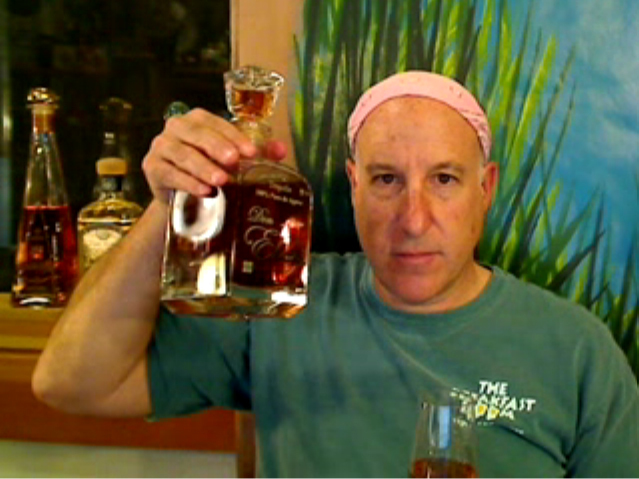 Extra Anejo: “Don Elias” (NOM 1477). You like a sweet ride on your agave adventures? Then look no further. This bargain-priced “XA” will lead you on a soft journey through tasting territory with stops on sugar hill and cologne-spice colonnade. You’ll get a nice mélange of disparate flavors in this extra aged cocktail of components. Though Th’ Lip favors a less-sweet tequila, fans of the fruit will enjoy Don Elias’ easy sipping qualities. Bring this one to a party of “Tequila Newbies” and make friends immediately. Have you done a side by side?? Well yall what did u think ofthe fest? I thought that don elias xa was really walnuty or something like a rich deep nut flavor. There was a distlerey with don elias in cone shaped painted bottles that was DELICIOUS. It reminded me of casa noble a little but i cant remember what it was called they said it was aged in mexican oak though. I wish i would have taken tasing notes because it was hard for me to concentrate in that environment. There was sooo much going on and i felt like i needed to have another 3 hours. The best part of the night was meeting lippy, bob of tequila tracker, taste tequila honey bunnies, and eeting the maestras and maestros! Thanks monterey im ready for next year already! It was great meeting YOU, Jaberiman! 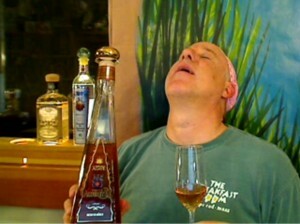 I am looking for the one that looks and tastes like Cava de Oro Nom 1477 extra anejo tequila. Can it be purchased anywhere near North Carolina US. We were in Mexico in May and I purchased a bottle because it was so smooth you could actually sip it. Please let me know. Sorry I can’t help you offhand. Looks like you’ll have to do some internet searching/digging. Let us know how it goes for you.